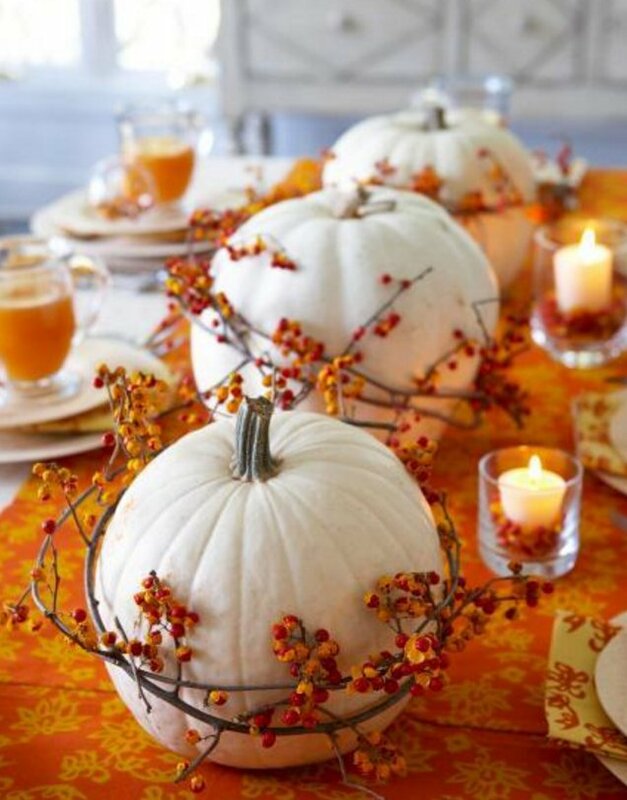 White Pumpkins - Buy three large white pumpkins and wrap them with bittersweet vine. Space them down the middle of your table on a beautiful orange table runner. Add dishes, glassware and napkins suitable for the color scheme. The dishes should be white or mostly white. Add some orange or golden votive and some decorative napkins. 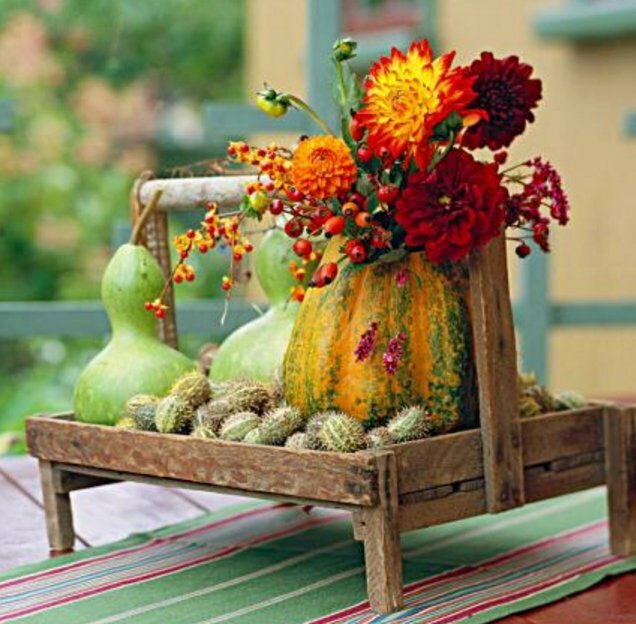 Instantly you have a beautiful centerpiece for your table that is full of color, flavor and ambience. Make a Leaf Bowl - Decide how many you want to make. Buy medium to large sized balloons and blow them up and tie off. Place each one in a bowl. Go out into your yard, down the street, to a nearby park or your craft store and collect an assortment of fall leaves. Real leaves are the best as they are colorful, very different and genuinely authentic. Paint the top side of your leaves with decopage or matte medium. It won't hurt to paint the balloon with a coat as well. Position the leaves carefully (right sides against the balloon) into the decopage or medium and press gently against the balloon to form the same rounded shape as the balloon. Once in place, apply another coat of decopage or medium to the back of the leaves. Set aside to dry. 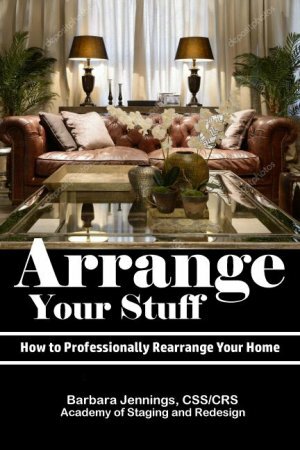 Once the whole arrangement is thoroughly dry, pop the balloon with a pin and remove it. 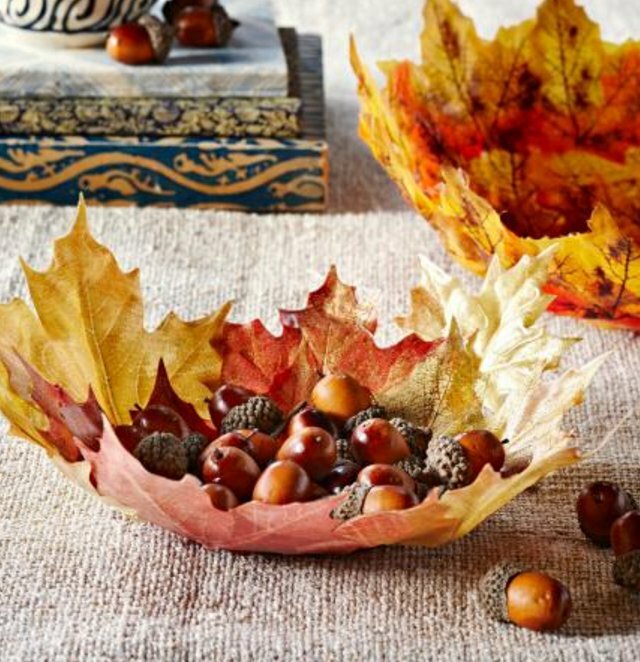 Fill your leaf bowl with nuts or pinecones or artificial flowers. Or add colorful fruit or vegetables fromt the season. How unique and easy is that? Cactus Decorating - There are many interesting shapes and sizes of objects that one can use to create an interesting arrangement. Flowers are usually the first thing that comes to mind. But don't forget about succulents that are hardy, colorful and beautiful. They last much longer than real flowers and add texture and interest to your arrangements. Look for interesting containers that are unexpected. Be unpredictable with your decorating. Repurposed Candleholders - I have a store near me called Savers, which is a second hand store filled mainly with clothing, but they also carry all sorts of small accessories and even some furniture. 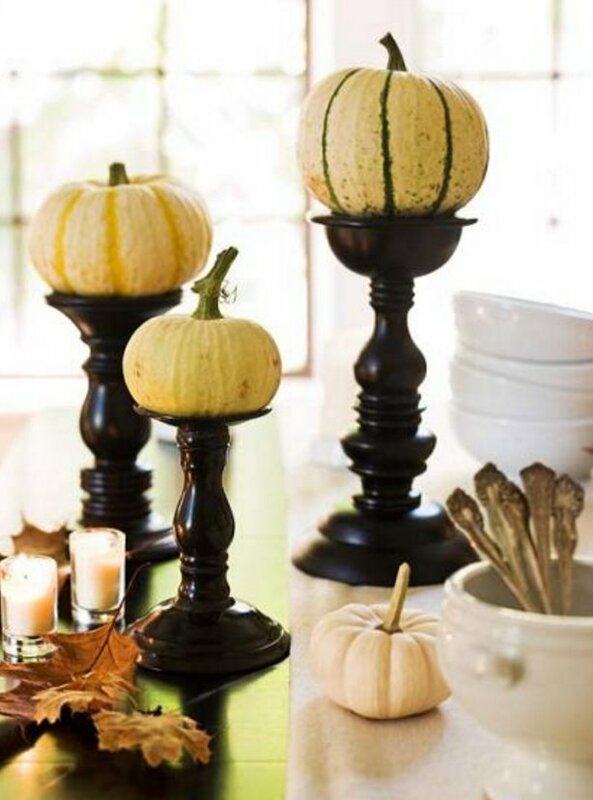 One thing you are sure to find are old candleholders. If you're lucky enough to find some old wooden candleholders in different sizes, pick them up for next to nothing. Then get some black spray paint (or other color of your choosing) from your hardware store and spray paint them all the same color. This will unite them and make them look like a set, no matter what design or style they are. Then add your decorative candles on top, some leaves and you have repurposed some ugly,unwanted candleholders into a real treasure. And the best part of all, you made it yourself. Your family and friends will think you're a genius. What to Decorate With - Here are just a few of the different kinds of products you can use to pull in some fall colors and other elements commonly used at this time of year: billy buttons, dahlias, gourds, mums, nuts, berries, pinecones, leaves, oak branches, pine branches, kale, squash, pumpkins, wheat, cactus, white pumpkins, bittersweet vine, black eyed susans, Virginia creeper, cattails. Update Your Training Now! 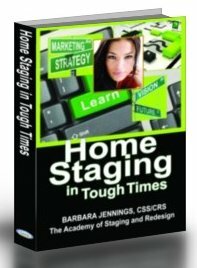 Start a New Home Business! 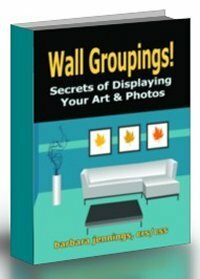 One of the complaints I used to get about some of my books was that the photos were black and white. I never liked the idea myself but printing small quantity, on demand books in color is so expensive (as it has to be done in a more expensive process), it would have made the books too expensive. Later I figured out that I could include a link to a full color PDF to show the photos in color, and even add many more that were not in the books. So that's exactly what I've done for the books that received the most criticism. One book includes a 50-page color PDF and another one has a 35-page PDF. The books have also been upgraded with training pertinent to 2017, including much more on social media and how to use it effectively to promote your business. 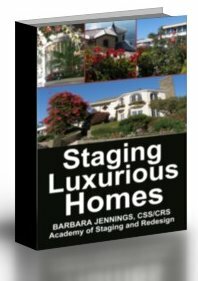 So whether you already have a business in staging or redesign, or are just now considering one, you'll not find a better time to take advantage of this exclusive, one-of-a-kind training based on my over 40-year career in design related home based business. I've built 4 of them and now I'm passing on all that proprietary, experienced knowledge on to you. No one else can match that history. You can purchase many (though not all) of my training guidance books at Amazon or directly from me. Visit this page to see a quick and easy way to upgrade to a book you already have or just to expand your personal reference library: BOOKS USA. For Canadian and other international readers, please visit: BOOKS INTERNATIONAL. I wrote what is being described as a compelling, riveting and personal story about a highly unusual (and sometimes controversial) relationship spanning 50 years. Inspired by the quote "How you live your life echoes in eternity," it highlights an incredible man who humbly and quietly touched the lives of countless people in inspiring ways that left them changed forever, mine most specifically. I have made huge mistakes in my life, but I hope I might also make a difference with this story. I wanted it to be a testiment to him and a witness from me. I also share 15 insights garnered through my life and my time caring for a person with cancer to guide others going through similar circumstances or who might be personally questioning the power of God in their own lives. 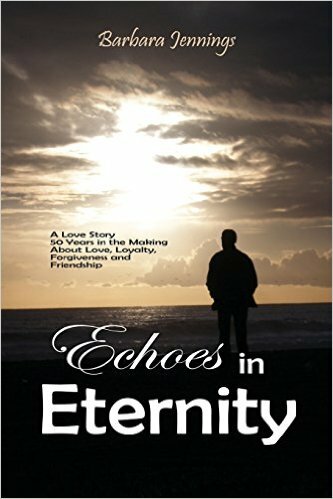 Echoes in Eternity is the story of two ordinary people whose journey through life's extraordinary challenges drew them closer to God and closer to each other. Proceeds from the book are donated to the research and fight against cancer. I hope you'll pick up a copy for yourself, give one as a gift, or just tell someone about it. 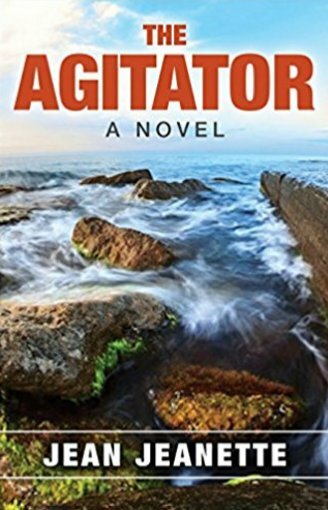 THE AGITATOR: A NOVEL BY JEAN JEANETTE - Inspired by a true story, this explosive tale describes the challenges of one bi-racial couple, set during the aftermath and mayhem of the riots in Watts, Ferguson and Baltimore. Author Jean Jeanette's debut novel, The Agitator, tackles what happens when two polar opposites marry for better or for worse and end up with what they did not expect. What began as a romantic fairy tale shifts and changes repeatedly as each character uncovers who they really are amidst the racial tensions and unrest, the chaos and partisan politics of modern day urban America. As their journey progresses they discover the conversations they need to have, the ones they better skip having and ultimately realize that no matter which side they find themselves on, nothing is truly ever black or white. The story spans a thirty-five year marriage pitting husband against wife in a myriad of challenging situations, contrasting their backgrounds, character, beliefs and world views that force them to make life altering decisions that will keep them together or splinter their marriage apart. The Agitator is a work of fiction, however, it is inspired by the real life story of one couple set against the backdrop of real events.